Tattoos are usually availed and braved upon because people wants to be reminded of something/someone or be represented by a symbol which strongly defines their personality. However, there are also tattoos that are inked simply because they like it or it looks good on someone’s skin. Ornamental tattoos are examples of that. 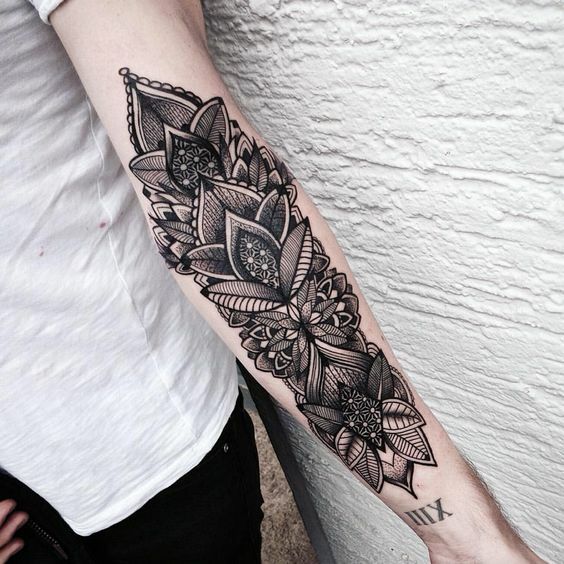 Usually done with black ink, ornamental tattoos are mandalas, laces, or florals that just there to be flaunted or accentuate the bearer’s body. For ornamental tattoos, complexity is not the name of the game but perfect placement. It is an example of simple artistry that is right on the spot. Behold some of the best ornamental tattoos shared by our benevolent netizens. These may be great options for you guys to try especially if it is your first time to get a tattoo. Take a look at these 35 Notable Ornamental Tattoo Designs and be inspired!